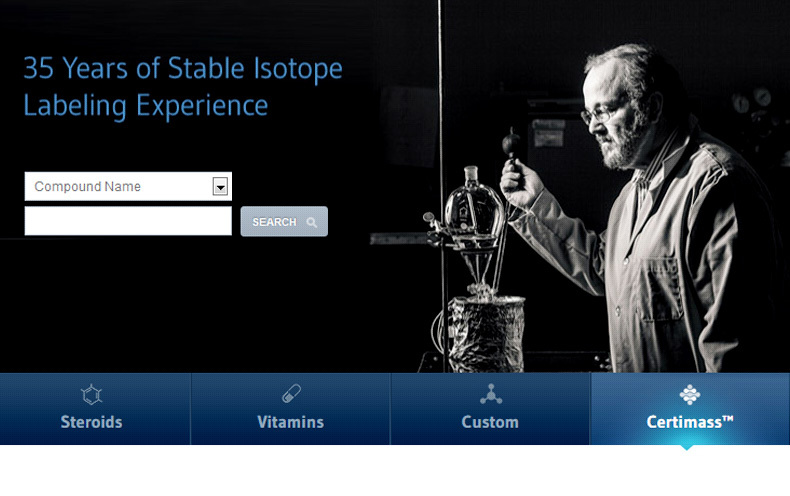 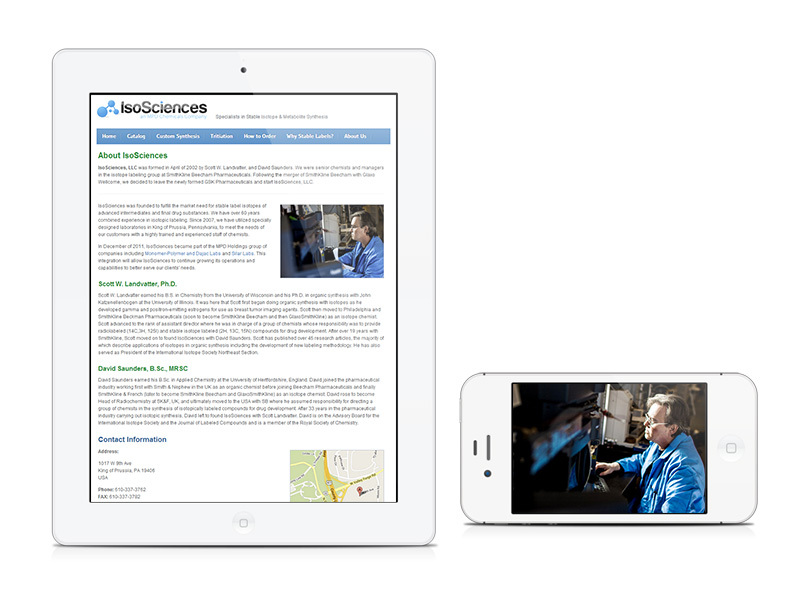 The redesign of ISOSciences is done as a collaboration effort between Stampede Design and our partner Farotech. 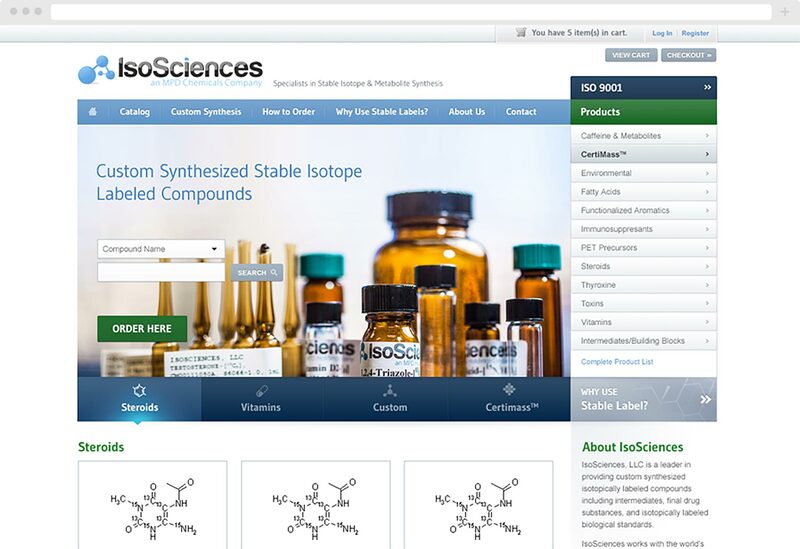 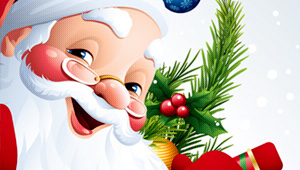 The online store for chemists was founded to fulfill the niche market need for stable label isotopes of advanced intermediates and final drug substances. 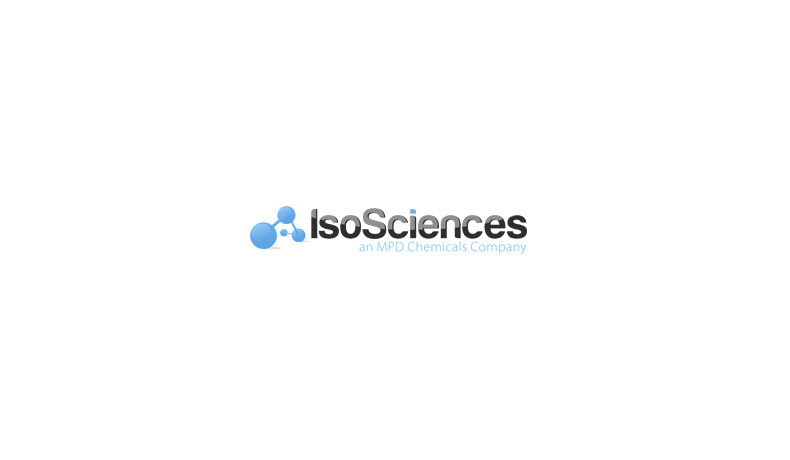 The new design for ISOSciences incorporates an ecommerce solution powered by Virtuemart complete with integration with FedEx and dry ice shipping. 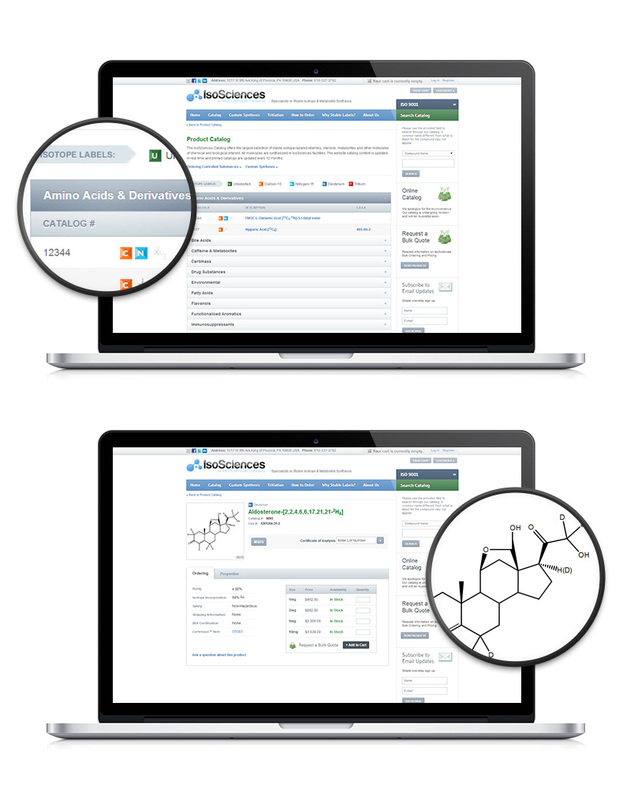 It featured a highly visible product data under a newly restructured product catalog, making it easier for customers to browse for products and to undergo the cart process from start to finish.